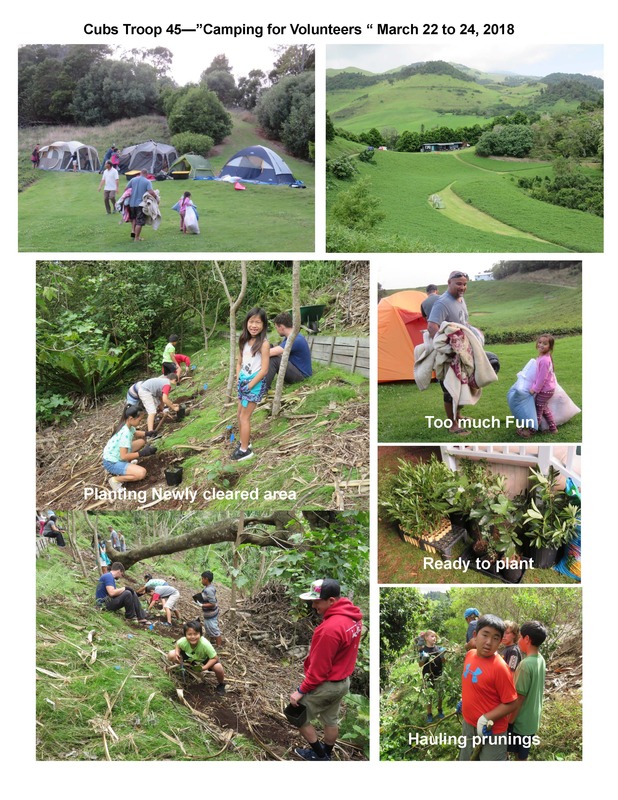 Ulupalakua- Despite Flash Flood warnings over all Maui the weekend of Oct 12, the Girl Scouts of Troop 770, 772 and 923 kept their plans for a 2 night campout at Pu‘u Mahoe. 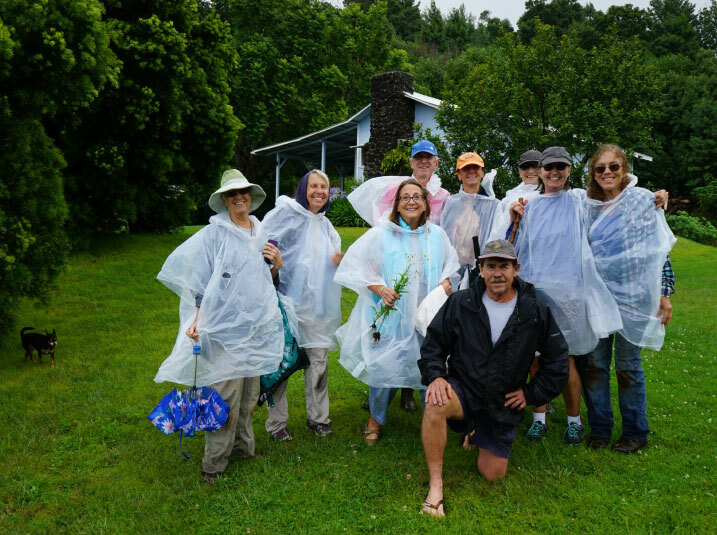 They were rewarded with a “ puka of blue above Pu‘u Mahoe”, reported campers, while most of Leeward Haleakala- Kula to Kanaio rained. 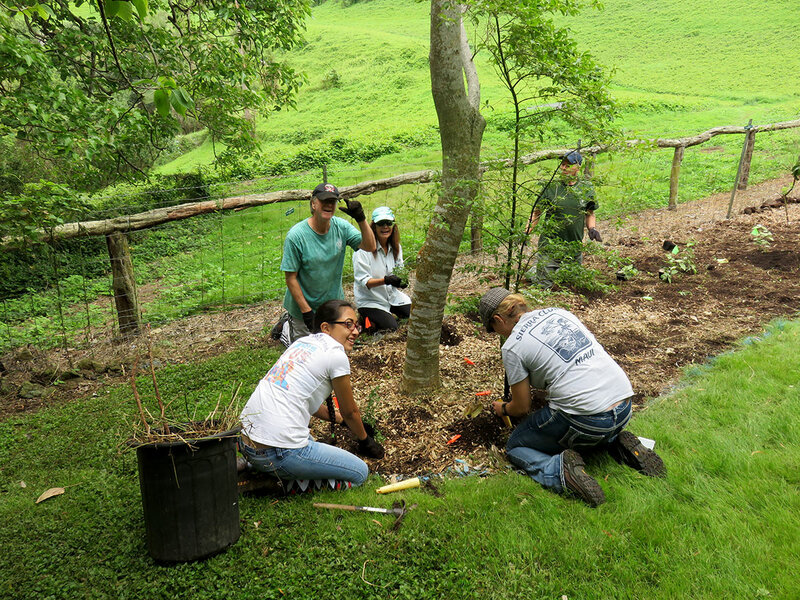 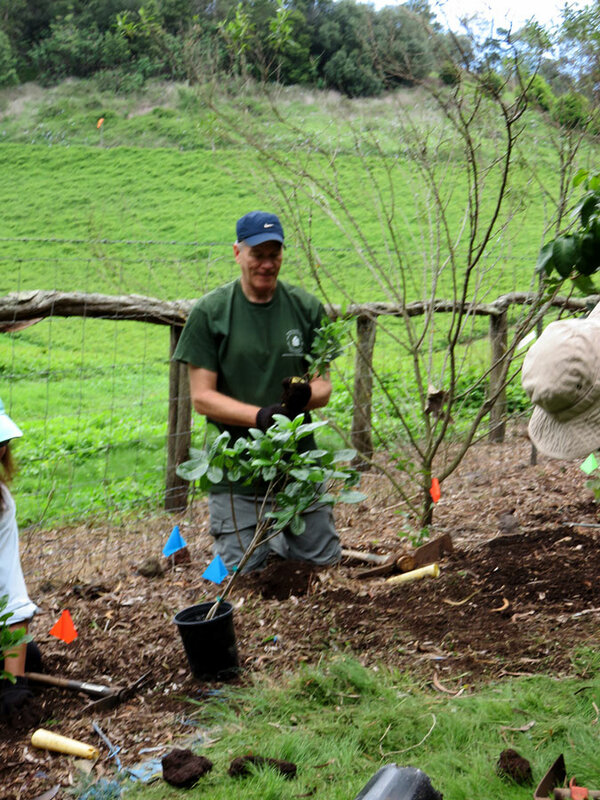 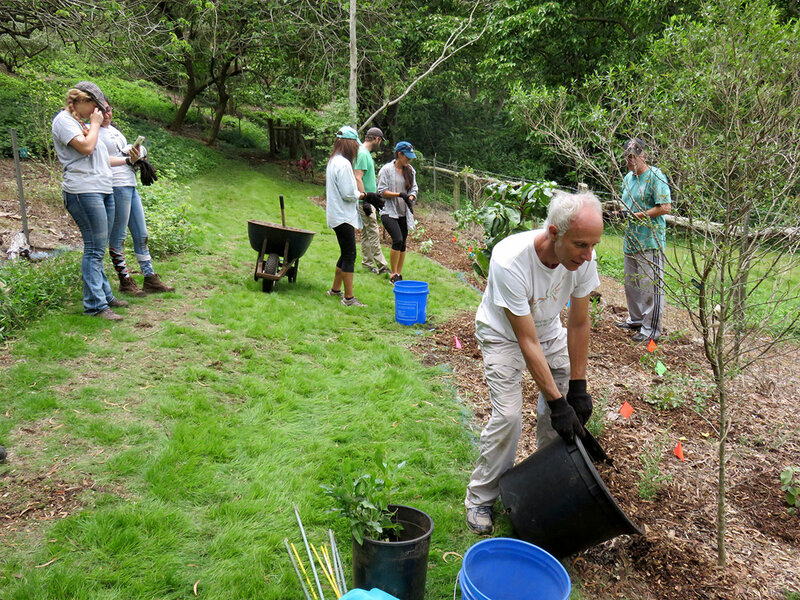 The weekend included volunteer service projects in the DT Fleming Arboretum. 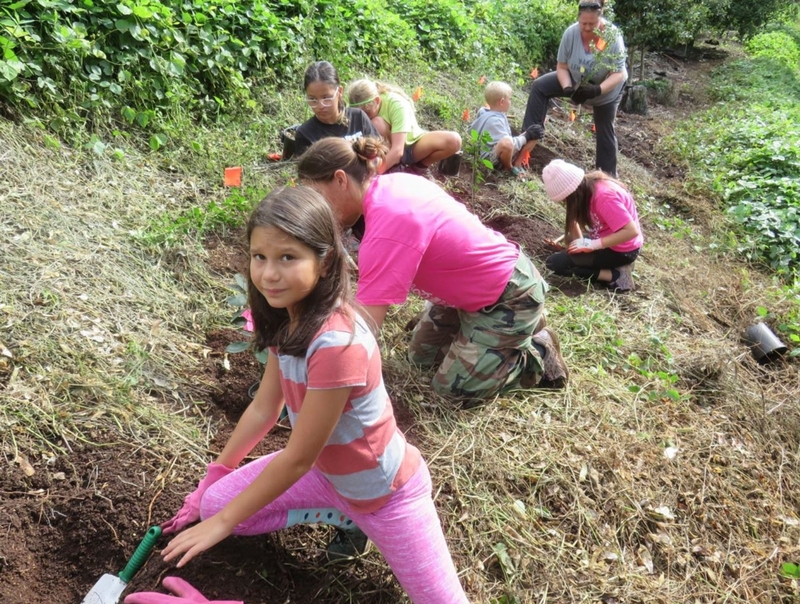 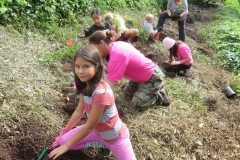 a badge award ceremony, badge projects and games.Forty girls, with their families, hauled prunings and planted 60 native trees and understory, reforesting a newly cleared area in the DT Fleming Arboretum. 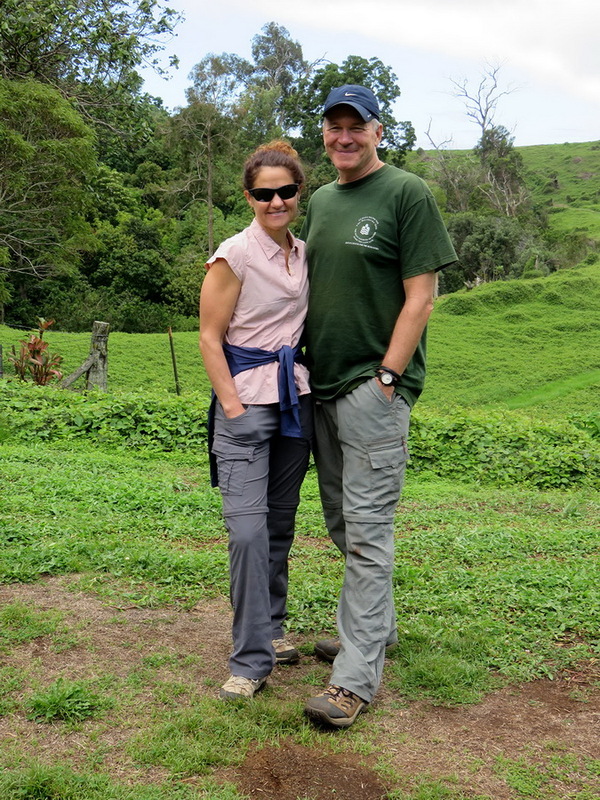 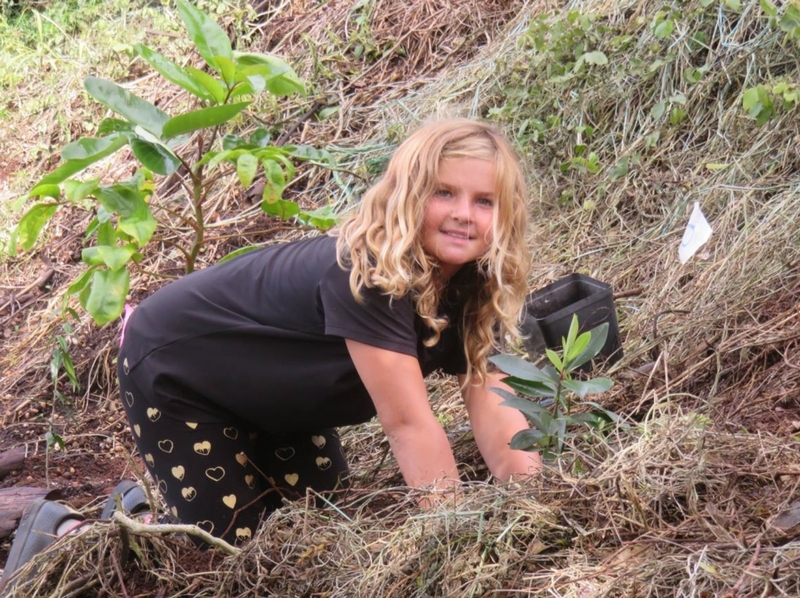 The Fleming Arboretum welcomes community group partnerships in the preservation of some of Maui’s rarest species and the restoration of South Maui’s native forests. 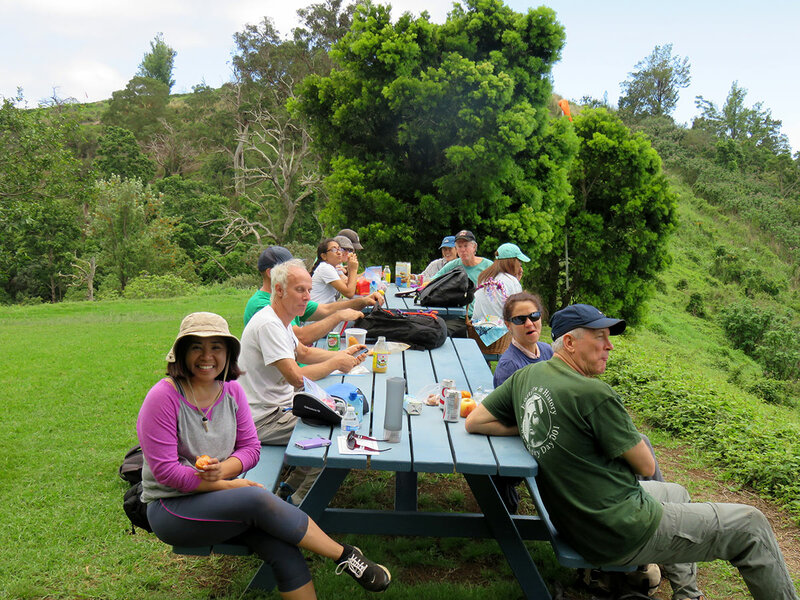 The light late morning shower only invigorated the participants. 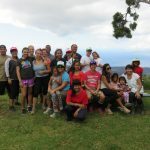 Click image to see all the pictures! 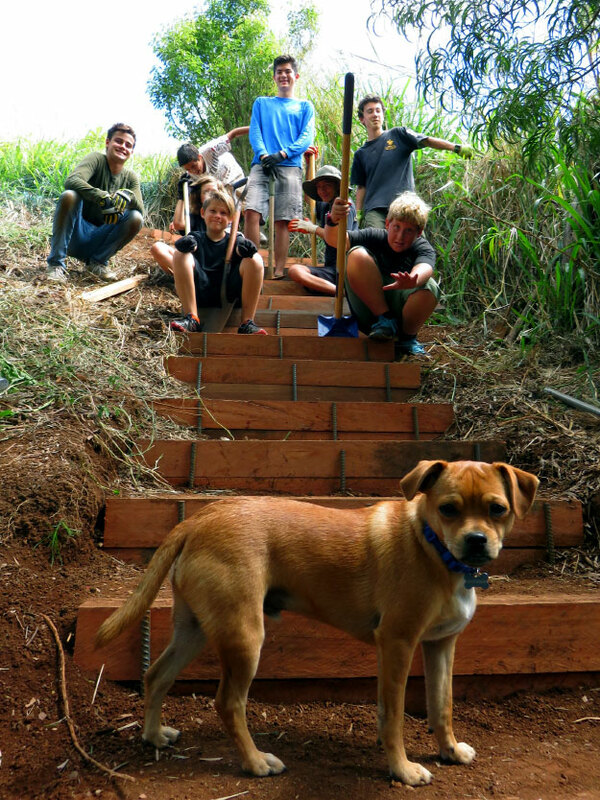 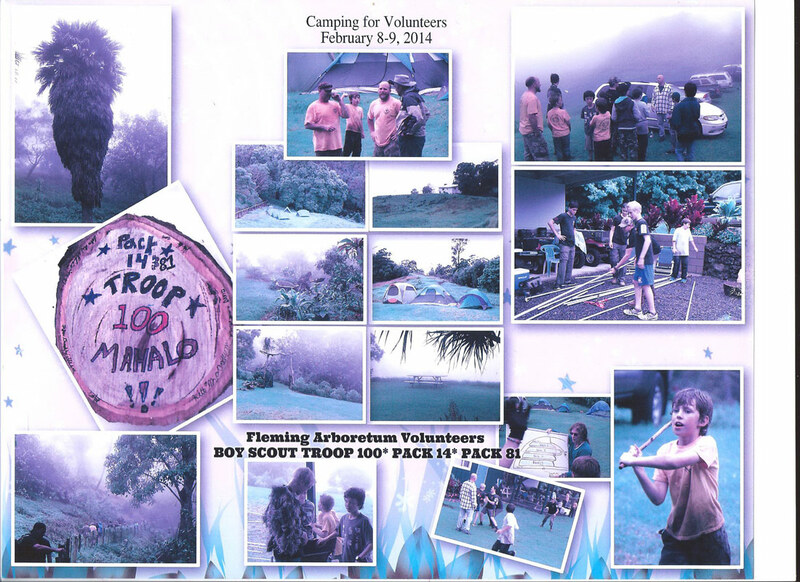 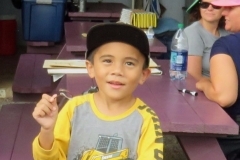 ULUPA LAKUA– Aolama Chow of Boy Scout Troop 100 of Kula completed his Eagle Project at the D.T. 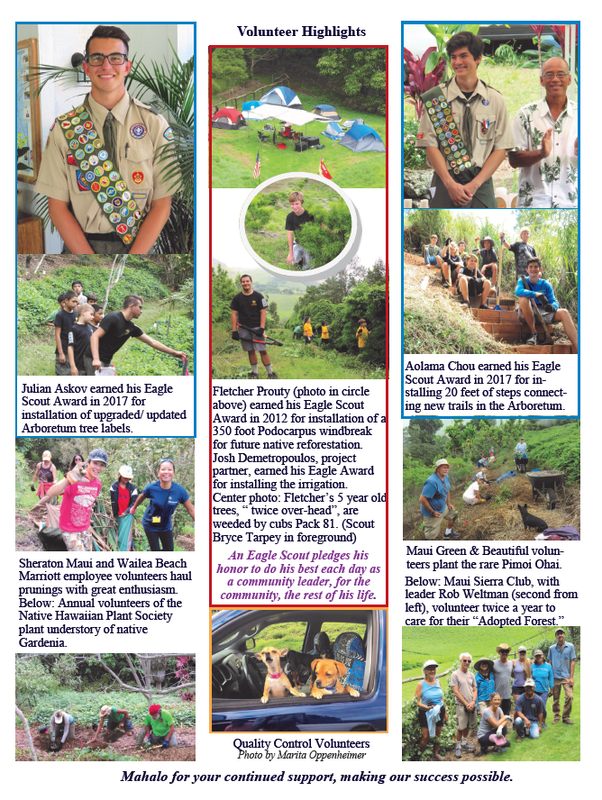 Fleming Arboretum at Pu‘u Mahoe to earn the Boy Scouts of America’s highest honor – the Eagle Scout Award. 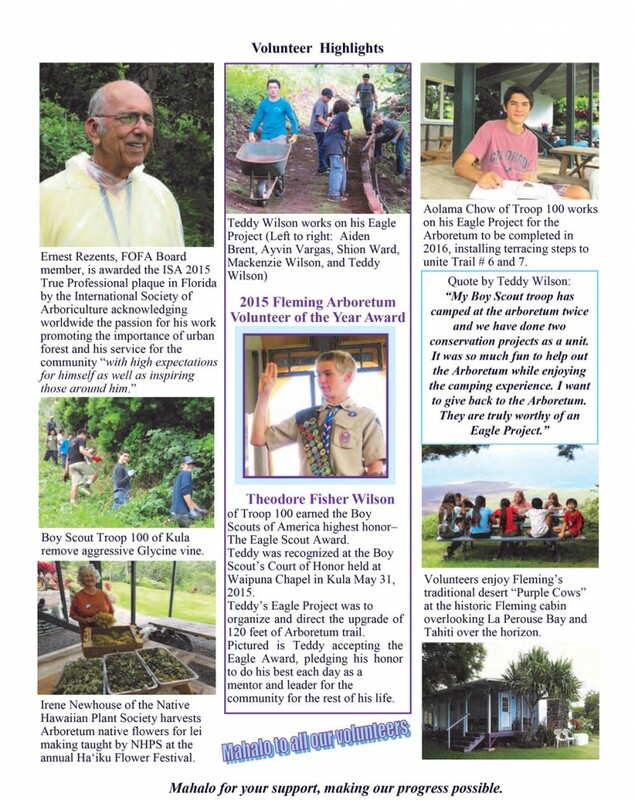 An Eagle Scout Award requires Scouts to organize, coordinate, and direct a community service project, demonstrating commitment, skill, and leadership. 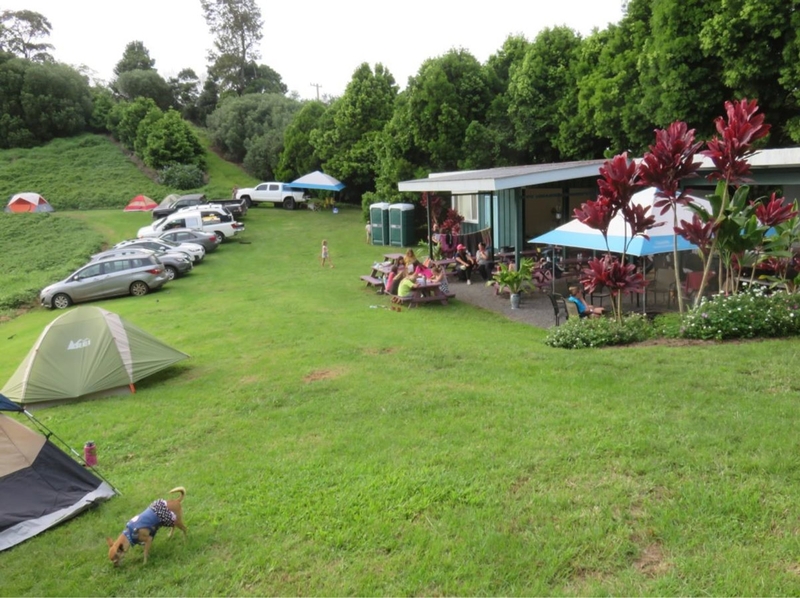 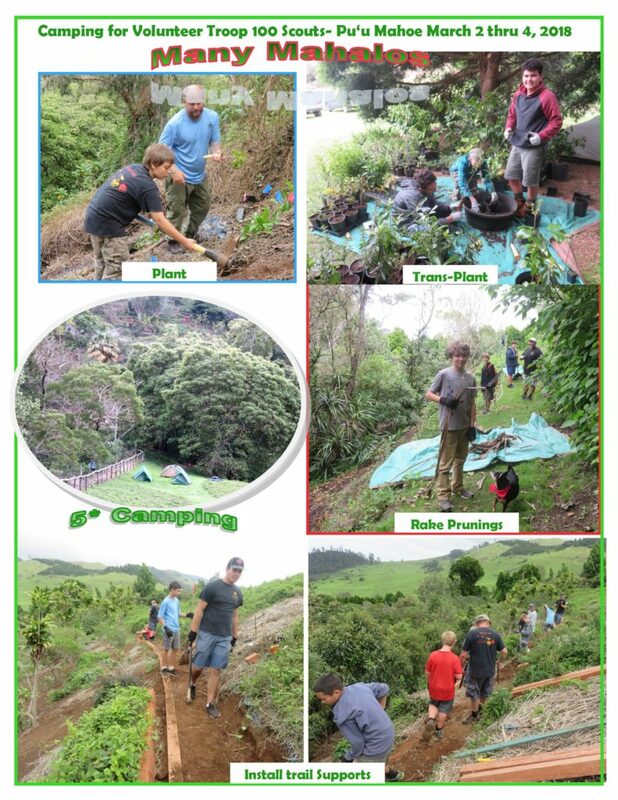 Aolama coordinated a 3 day campout in the Pu‘u Mahoe cinder cone April 7th-9th with Scouts from Troop 100 to accomplish his Eagle project. 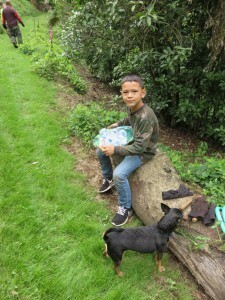 Click picture to read whole “AWESOME” story and see lots of pictures. 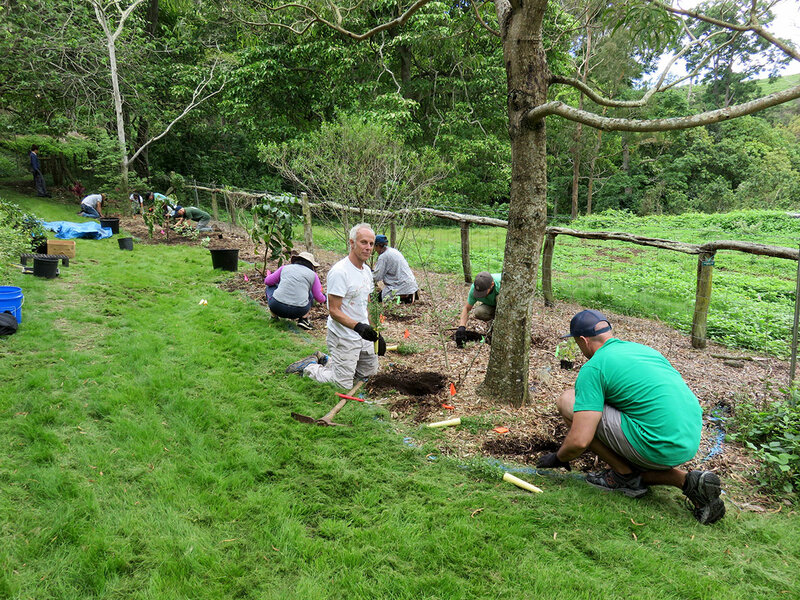 Hotel volunteers cleared fallen trees in the Fleming Arboretum opening up trails and clearing for new plantings. 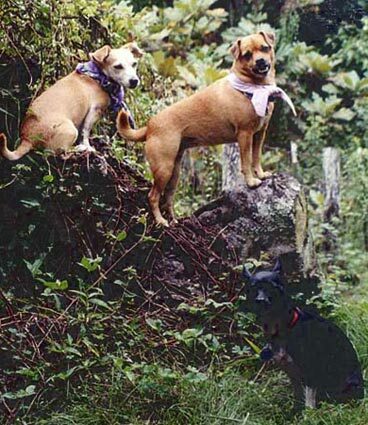 Kyuin Yi (left in the red) and Nicha Attawut (right in the blue). 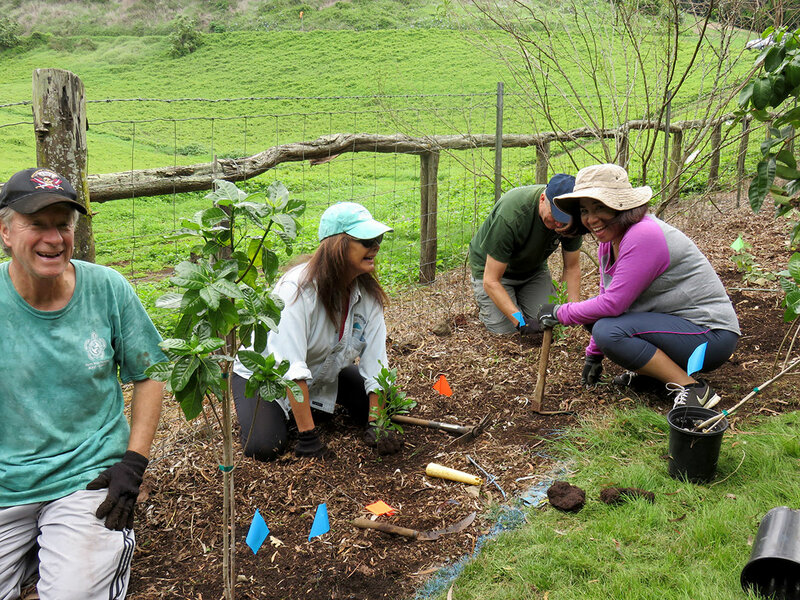 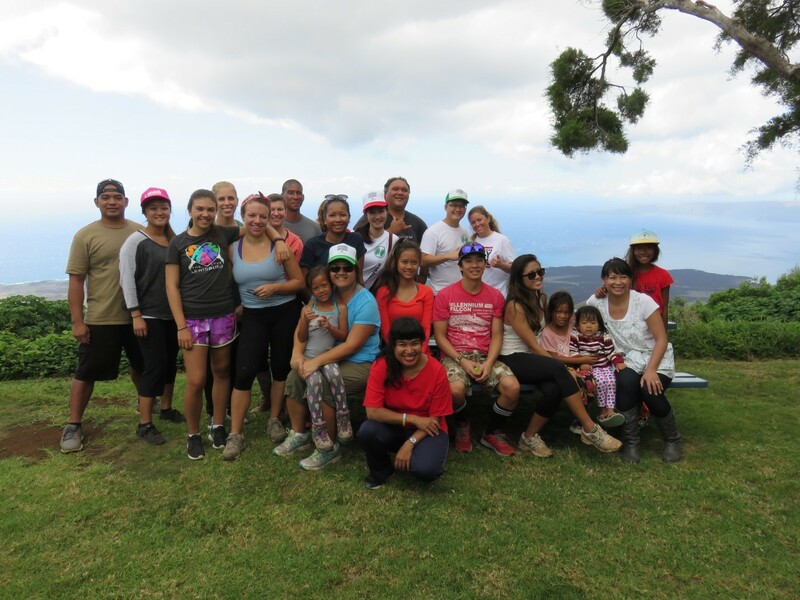 28 Hotel staff and children completed the day’s projects strengthening the Arboretum as a Plant Recovery Reserve and Seed resource for the reforestation of South Maui Native Forest. 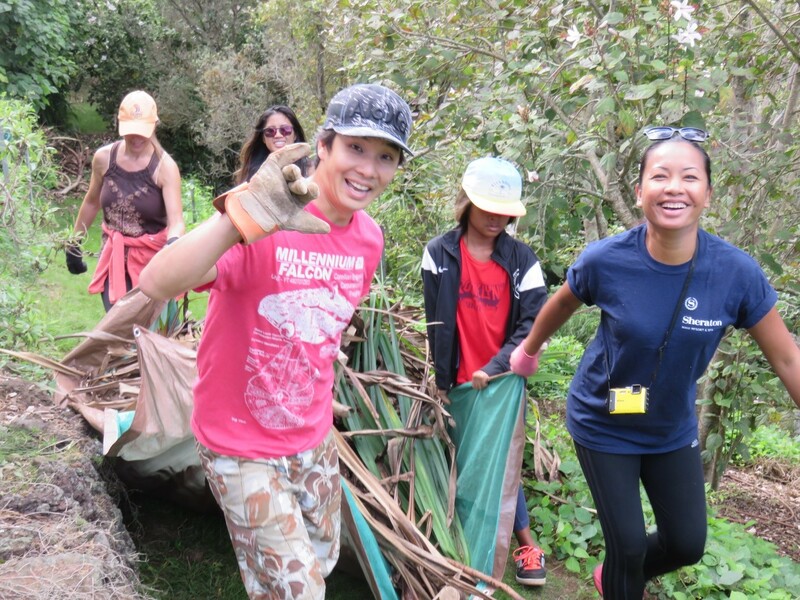 Ulupalakua- Saturday, October 15, Sheraton Maui and Wailea Beach Marriott volunteers cleared fallen trees in the Fleming Arboretum opening up trails and clearing for new plantings in their adopted forest. 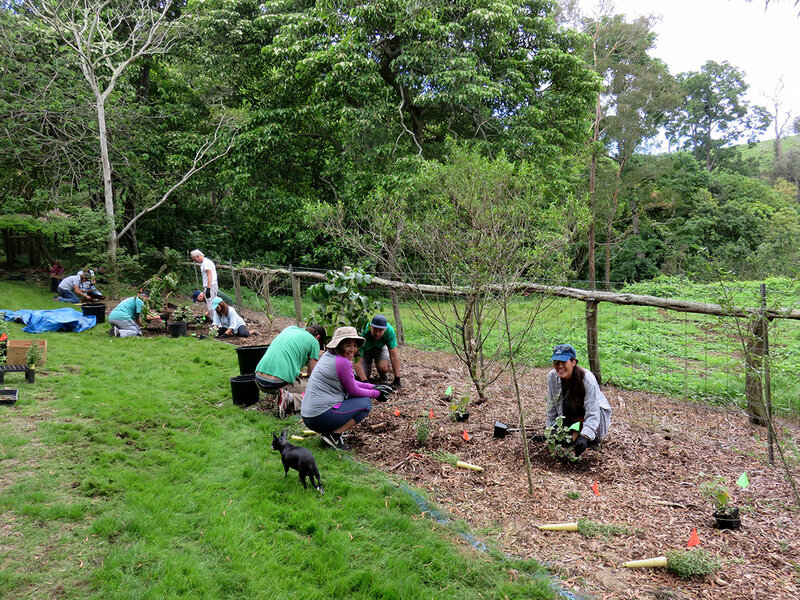 Volunteers will plant their forest, returning seasonally to weed, fertilize, add new plants and apply mulch, replacing non-native plants with a complete cover of upper, middle, lower story native forest. 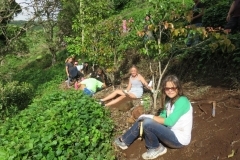 The Work Day was organized by Jack Stone cultural advisor for Sheraton Maui in charge of the resort’s cultural programs, and activities for guests and employees. 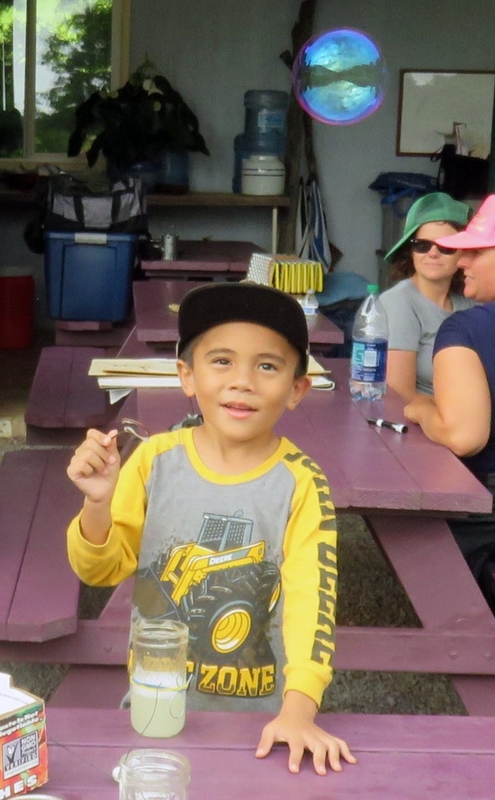 Stone shared Hawaiian culture and music. 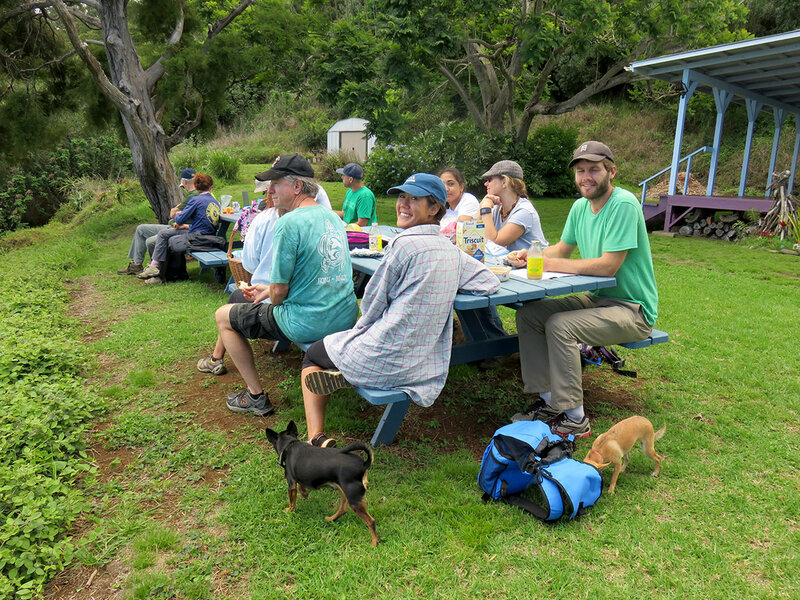 Sheraton Maui caterers provided a generous lunch. 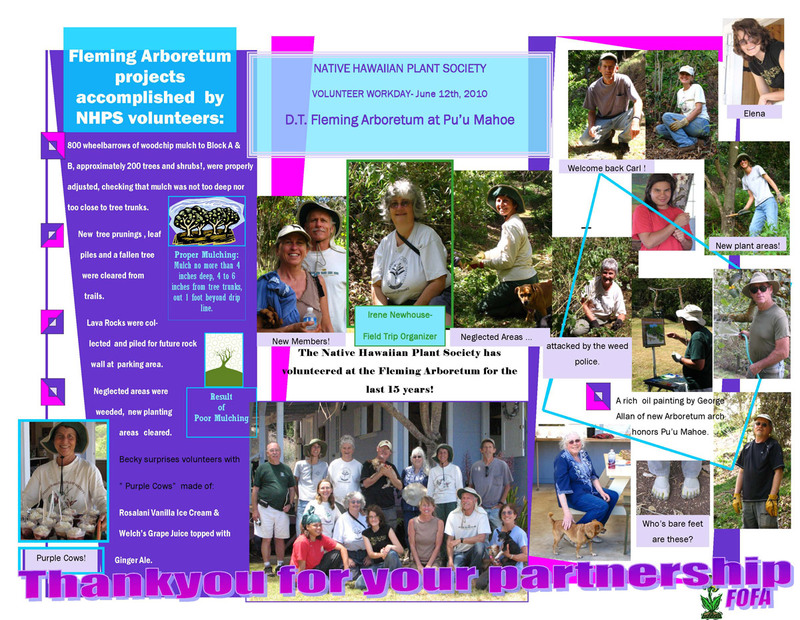 Arboretum Volunteer programs involve the community in preservation and restoration of Hawaii’s most valuable resource: the native forest with understory plants cooling the soil with shade, holding moisture, attracting and regenerating rain for the sustainability of life on a volcanic island in the middle of the Pacific Ocean. 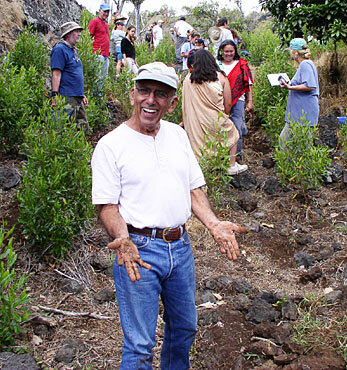 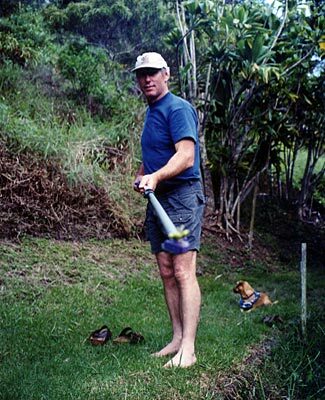 The Fleming Arboretum, planted in 1950, is the first native forestation project in all Hawaii recognizing David T Fleming as Hawaii’s leader in conservation. 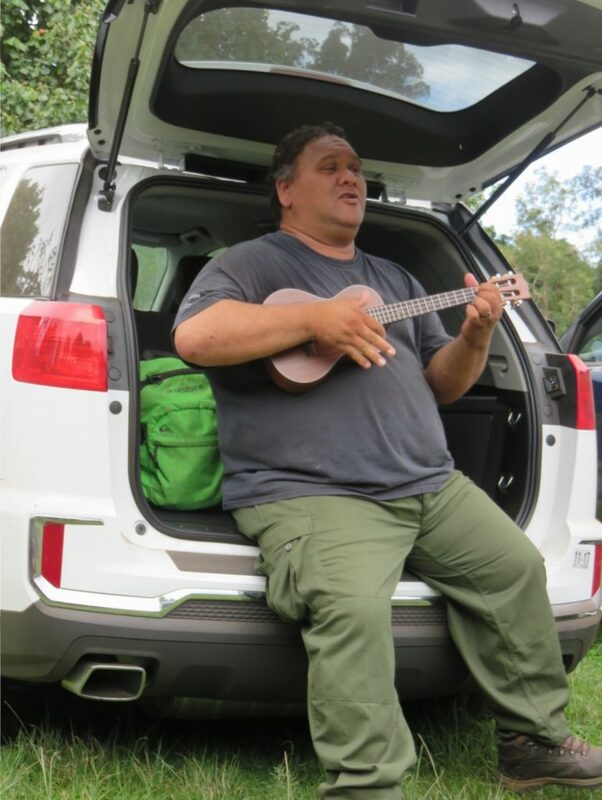 Jack Stone performs the song “Ulupalakua”, sharing Hawaiian music & culture. 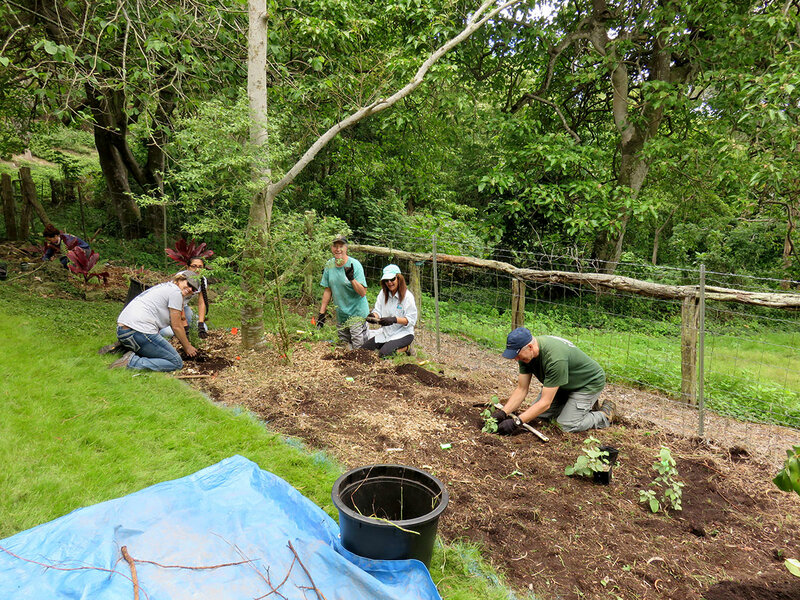 Fleming Arboretum teaches Adopt Forest participants proper planting and mulching techniques. 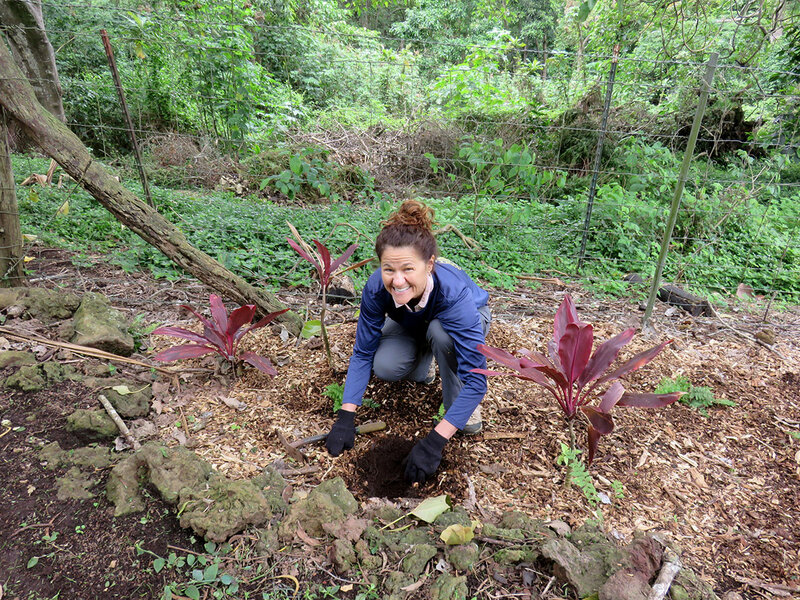 Here Sierra Club Volunteer Terez Amato demonstrates “the stick method” to gauge proper depth of planting. 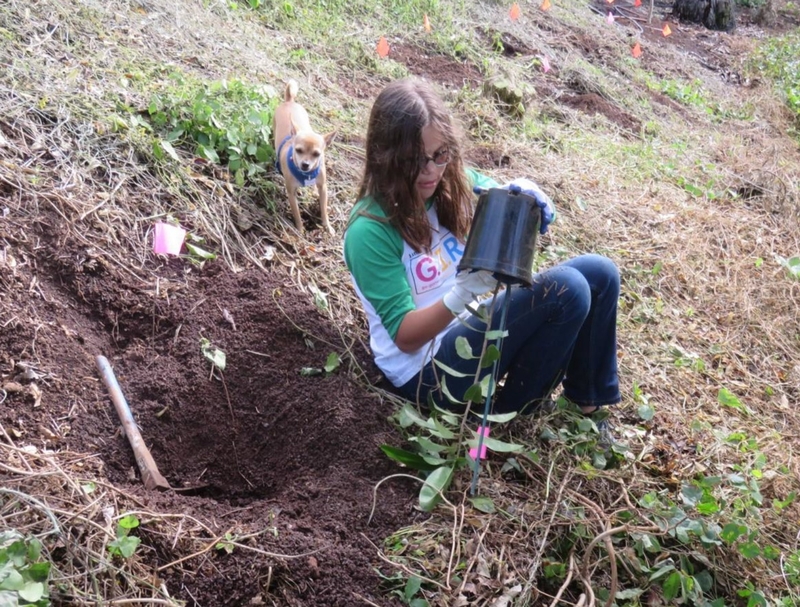 Gabrielle shows that the plant hole needs to be dug deeper to for soil level in pot to match the natural ground level. 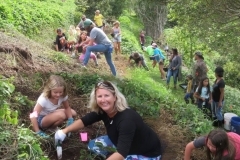 Ulupalakua- On Saturday, May 21 Sierra Club volunteers adopted a section of the Fleming Arboretum, planting 50 native seedlings of 5 species within the 17 acre Pu’u Mahoe cinder cone. 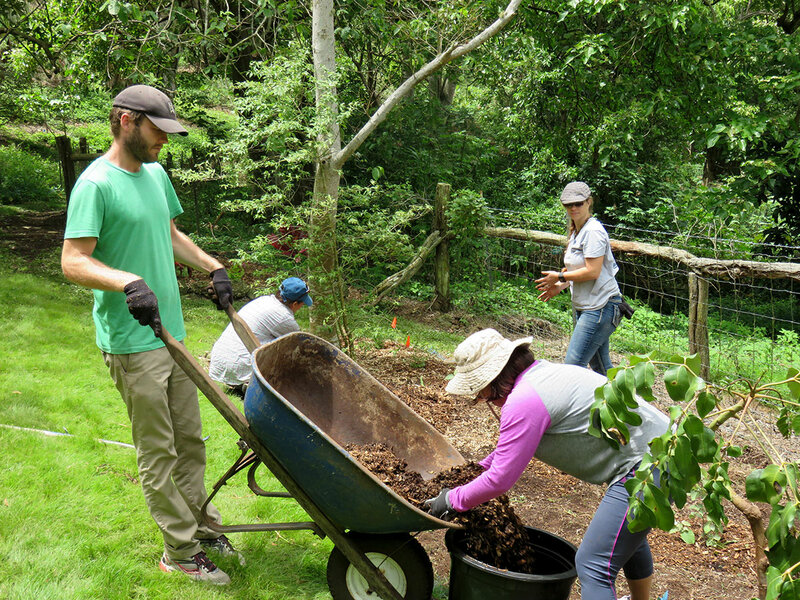 Sierra Club foresters will return seasonally to weed, fertilize, add new plants and apply mulch, replacing non-native plants with a complete cover of upper, middle, lower story native forest. “Project Assistant” serves water mid-morning to refresh workers. 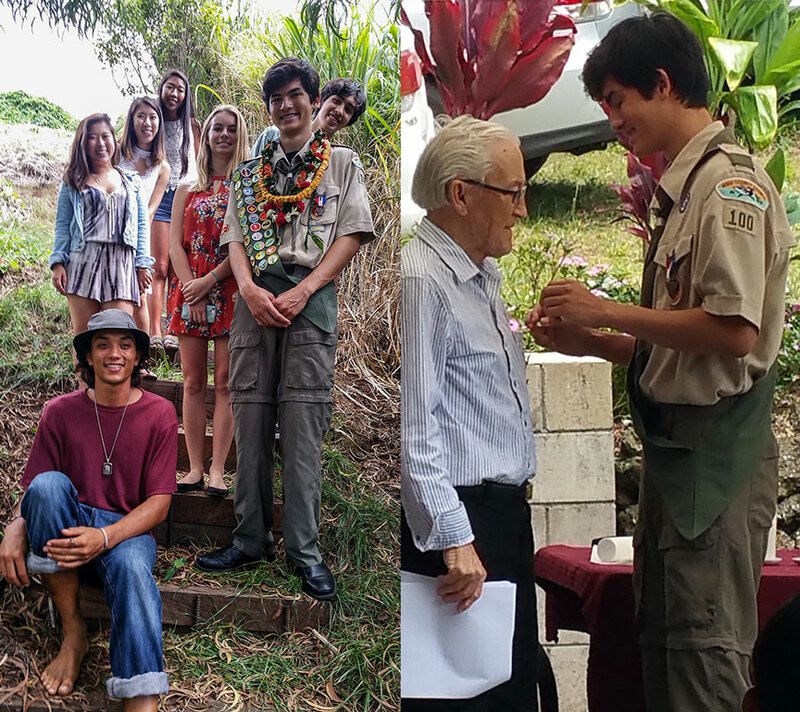 Ulupalakua – Members of Kaneloa, directed by Dustin Palos (left image in center), volunteer at the DT Fleming Arboretum at Pu’u Mahoe on Thanksgiving weekend for “a day filled with ike (learning), culture, history, food and fun”. 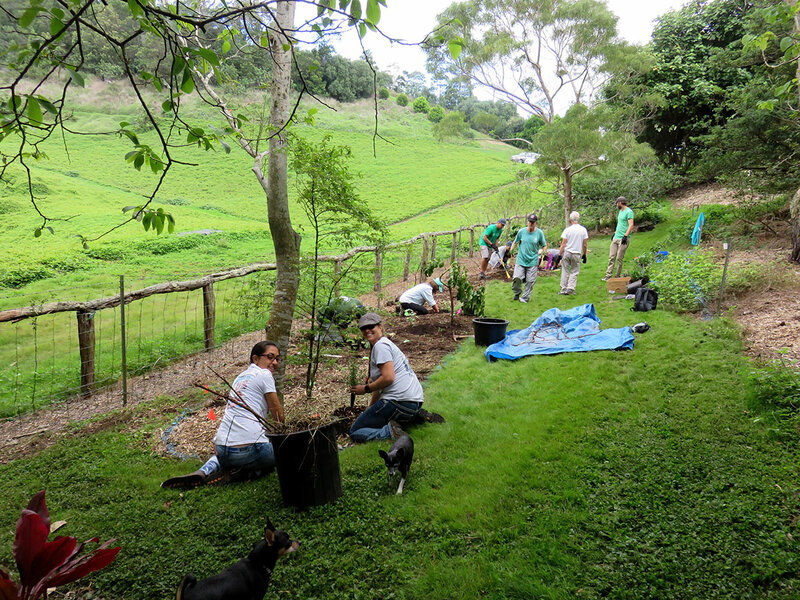 Volunteers cleared weeds around native trees and fertilized with chicken pellets. 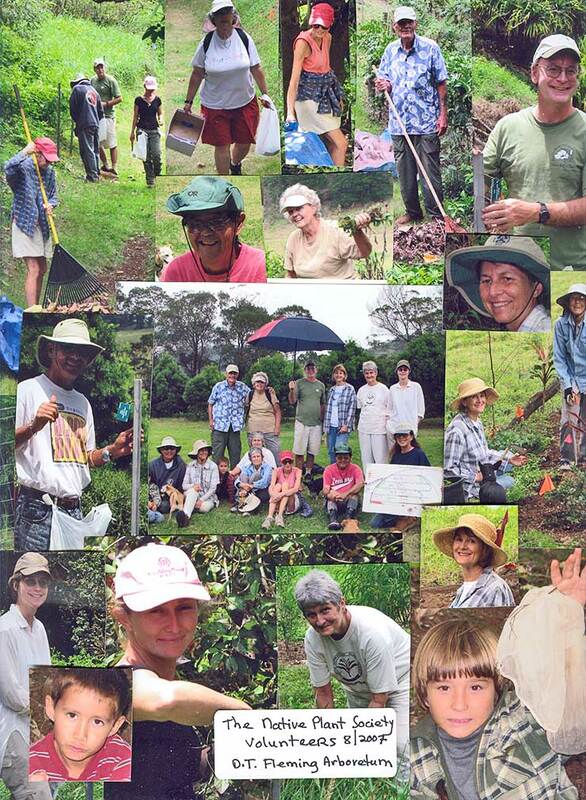 On Sunday, December 6, Kaneloa members will clear for planting their newly “Adopted Forest”. 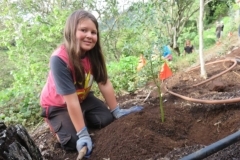 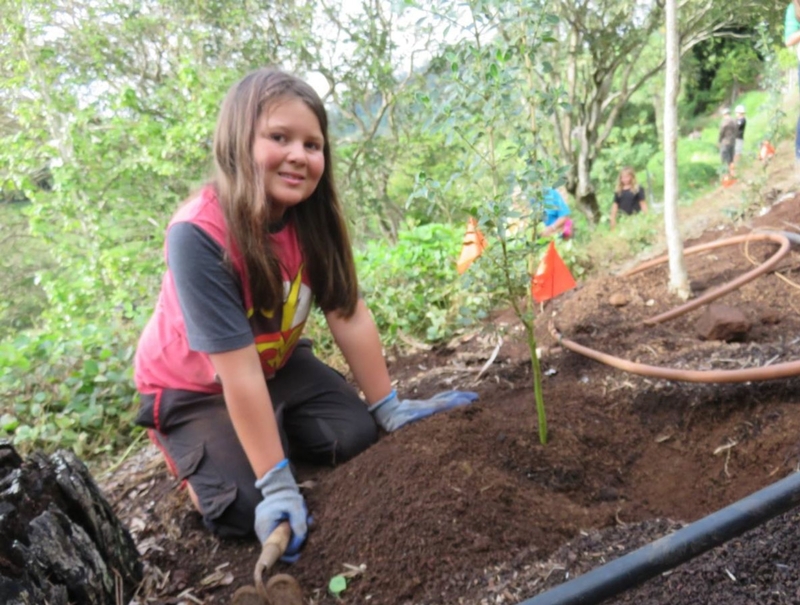 The Arboretum created the program “Adopt a Forest” to actively involve the community in Puu Mahoe’s native forest restoration. 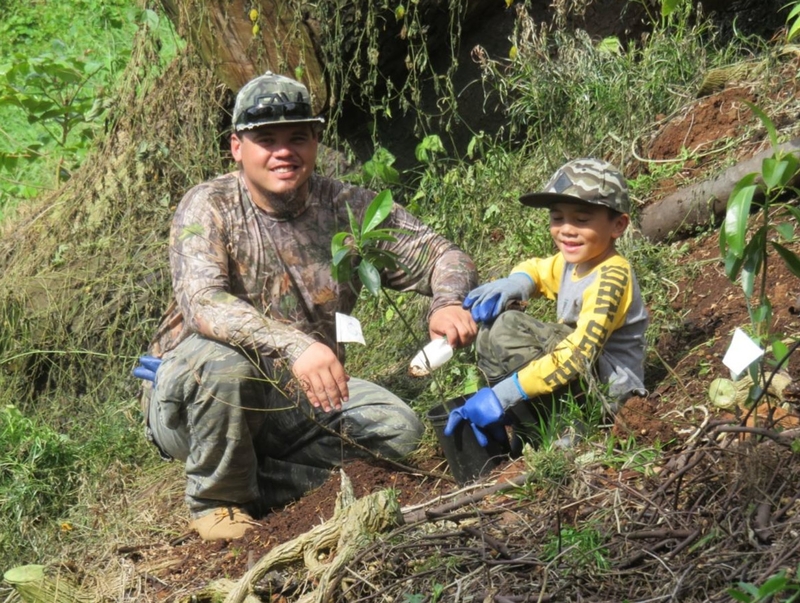 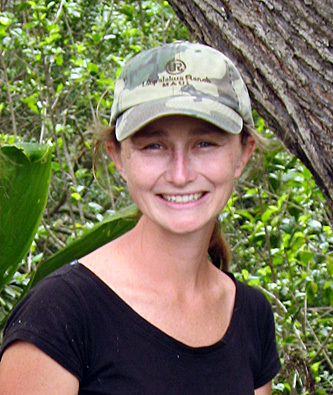 Kaneloa plans return visits to care for and expand their forest area. 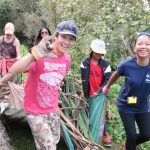 The Fleming Arboretum and Kaneloa share parallel missions to teach and empower the local community to become future leaders through cultural, scientific, and hands-on `ike caring for the aina (land). 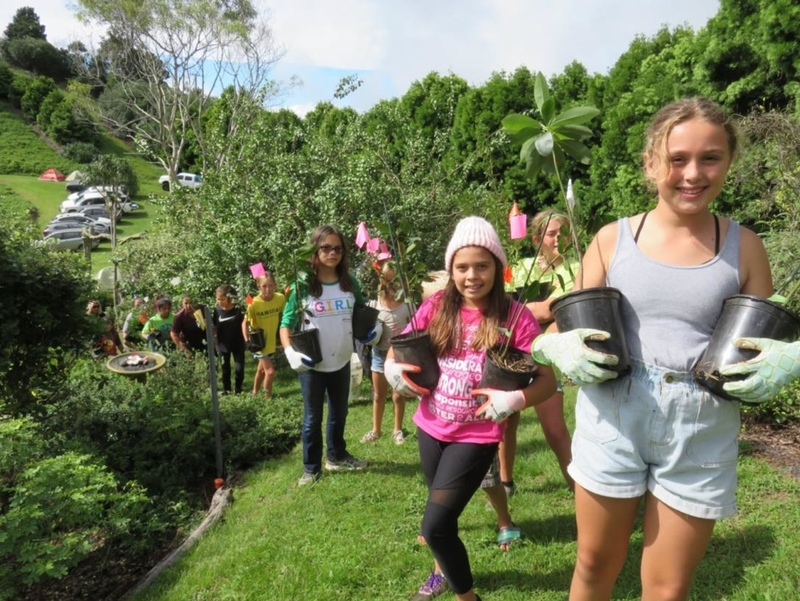 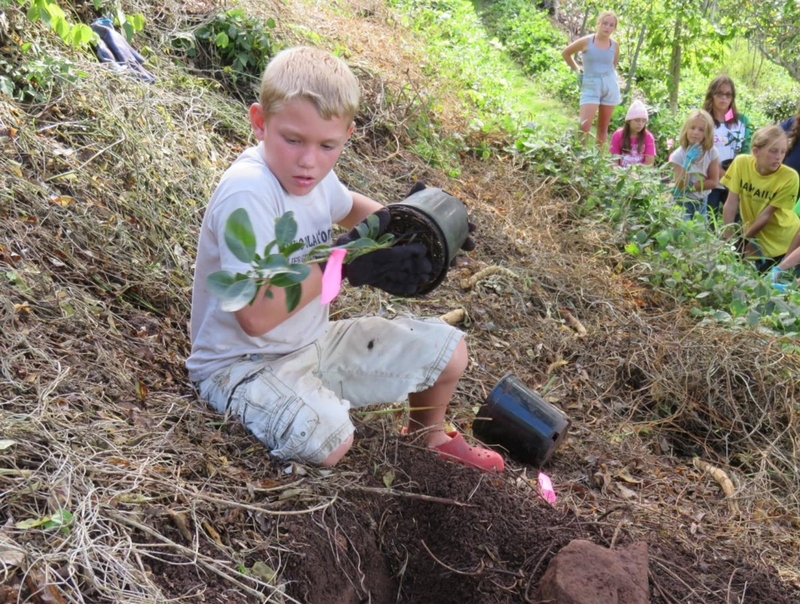 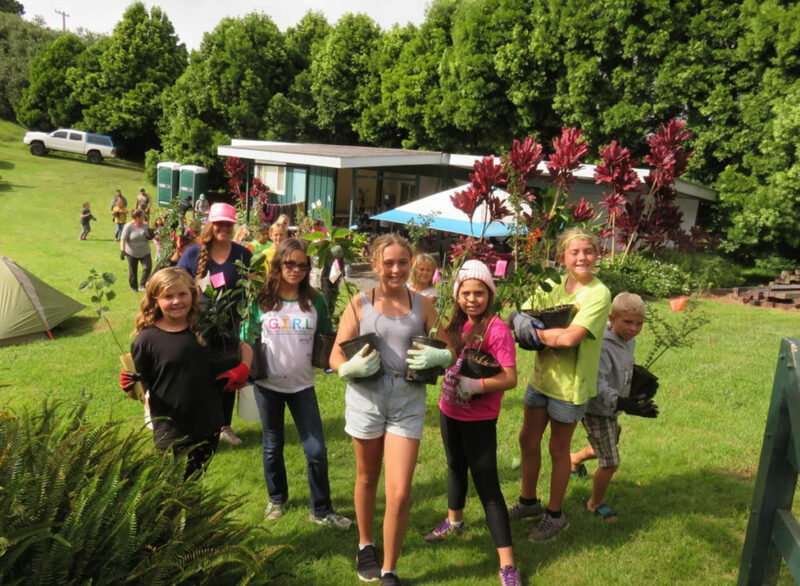 The Fleming Arboretum and Kaneloa promote youth and community groups volunteer opportunities throughout the year. Visit Kaneloa.org to learn more about both organizations. 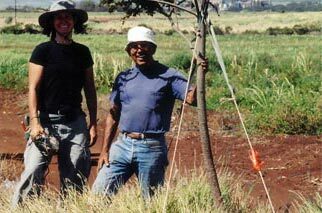 Pu’u Mahoe was spared further damage. 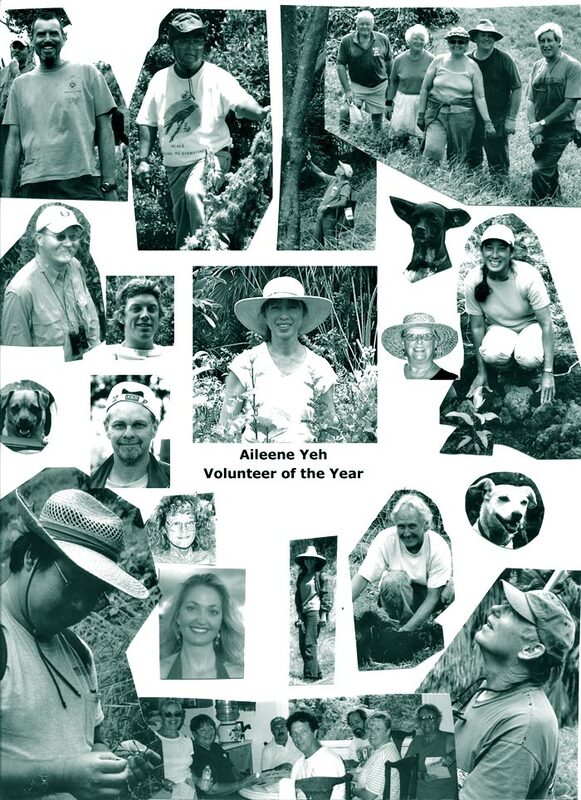 FOFA 2007 Volunteer of the Year Award goes to … Ernest Rezents. 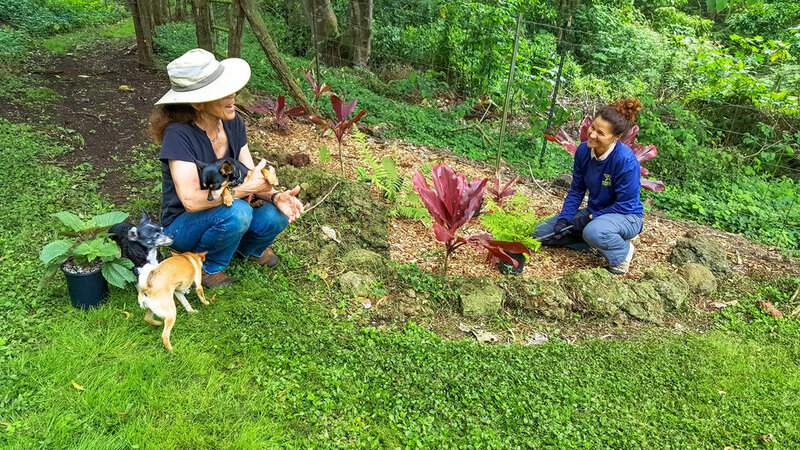 Ernest, a registered consulting horticulturist, has generously donated his time regularly for the last five years, contributing to the health of the Fleming Arboretum. 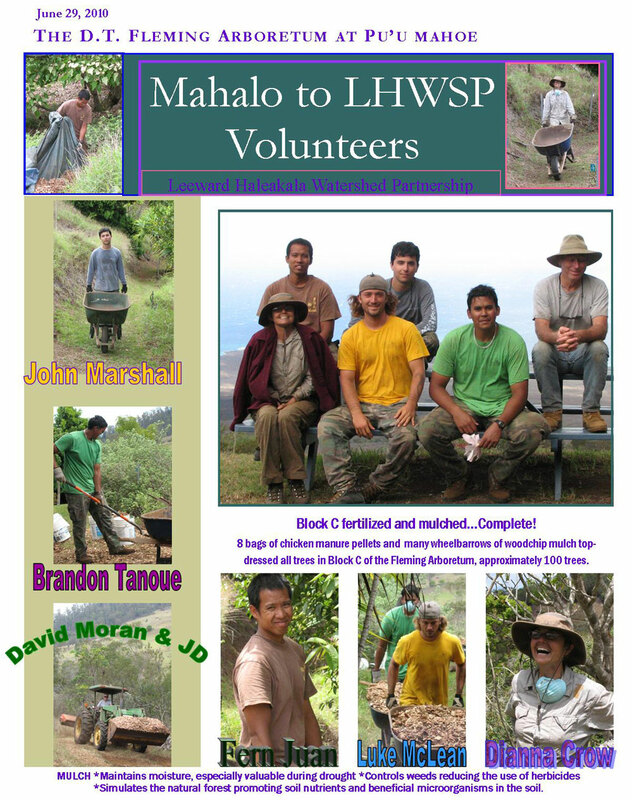 In October 2009 NHPS volunteers participated in a service trip to the D.T. 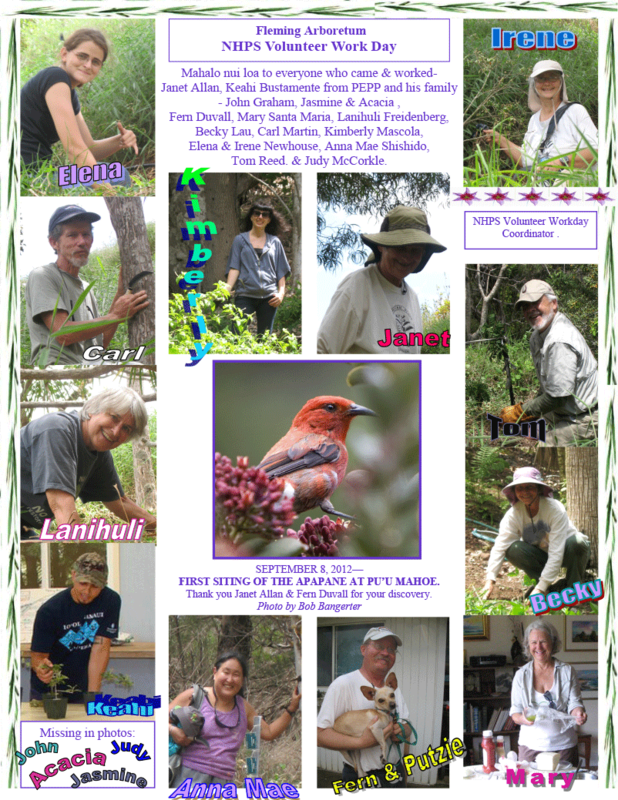 Fleming Arboretum in Ulupalakua, Hawai’i’s oldest and largest native arboretum. 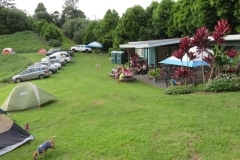 A seven-acre enclosure located in the 17 acre Pu’u Mahoe cinder cone on Haleakala’s southern slope, the Arboretum is home to over 120 species of native Hawaiian plants. 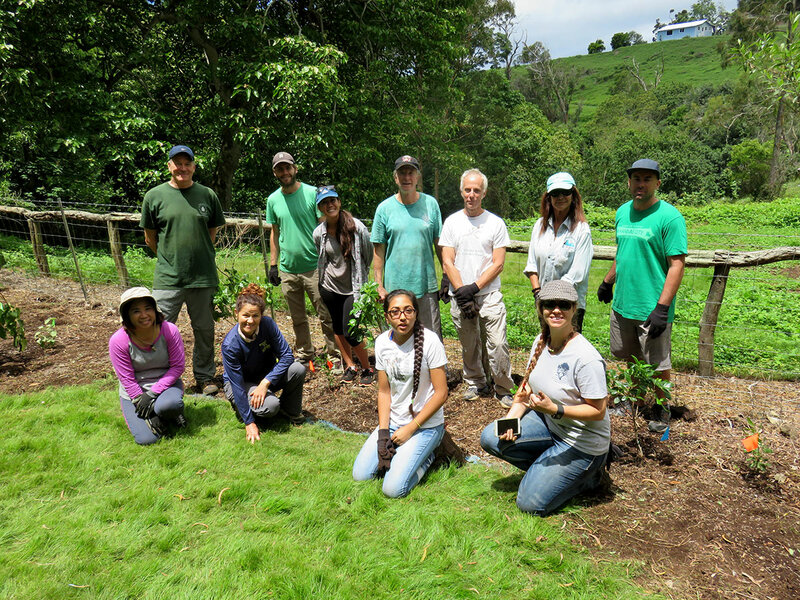 On a Saturday morning, NHPS volunteers applied compost and mulched, collected seed, hauled prunings, and helped clear away invasive glycine vine, Kikuyu grass and morning glory from native plants. 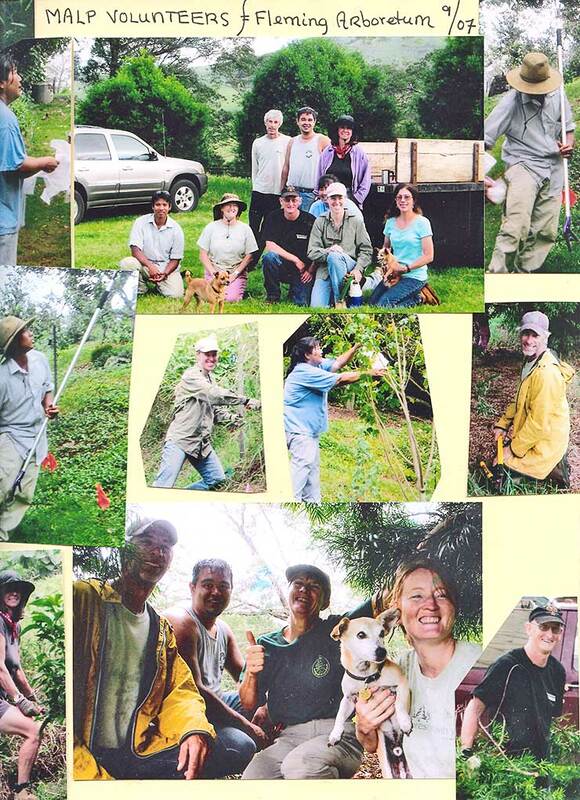 The Arboretum is overseen by the Friends of D.T. 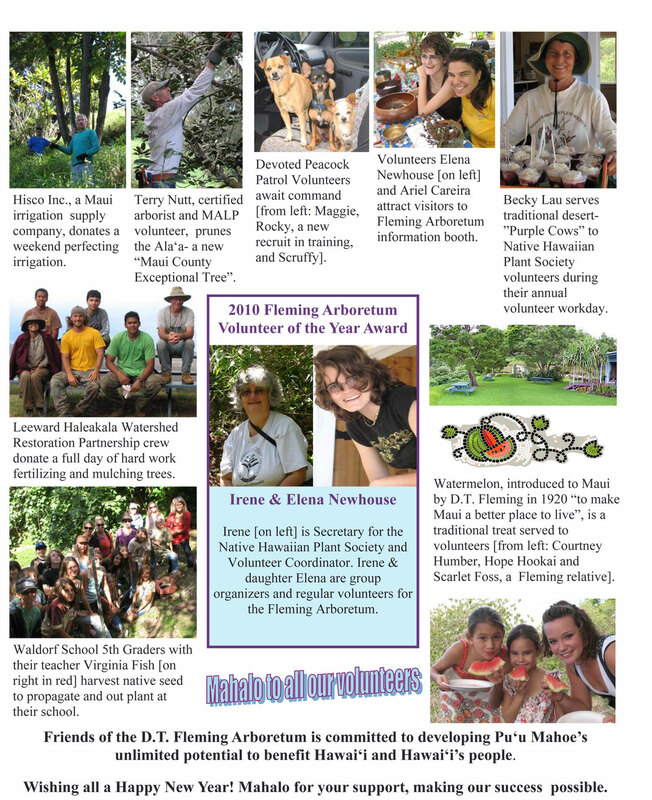 Fleming Arboretum (FOFA), a nonprofit corporation dedicated to preserving and upgrading the Arboretum. 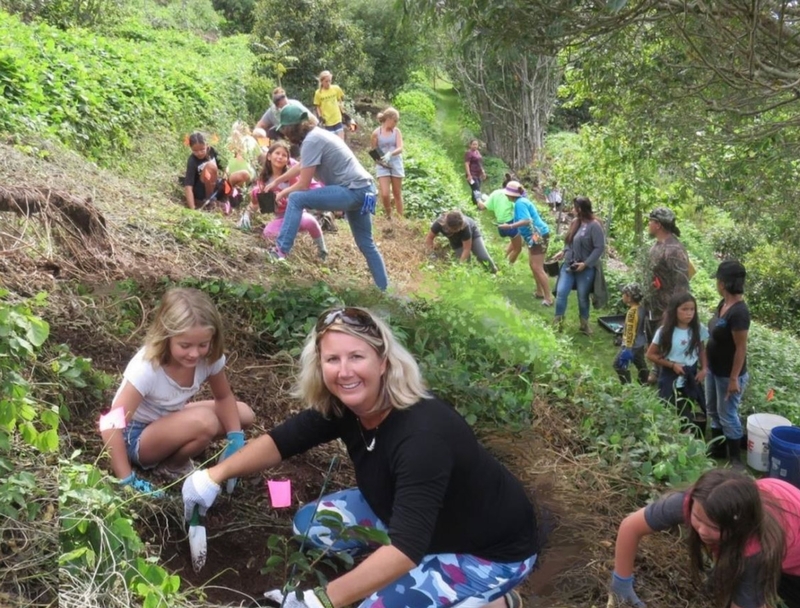 FOFA recently obtained a four year grant from the USDA for projects which will include completing a pig fence to protect the whole 17 acre cinder cone, planting 795 feet of double-row windbreak trees along two windward edges of the cinder cone, planting 250 native plants in a new expanded acre of the Arboretum, improving the access road, mulching and controlling invasive weeds. 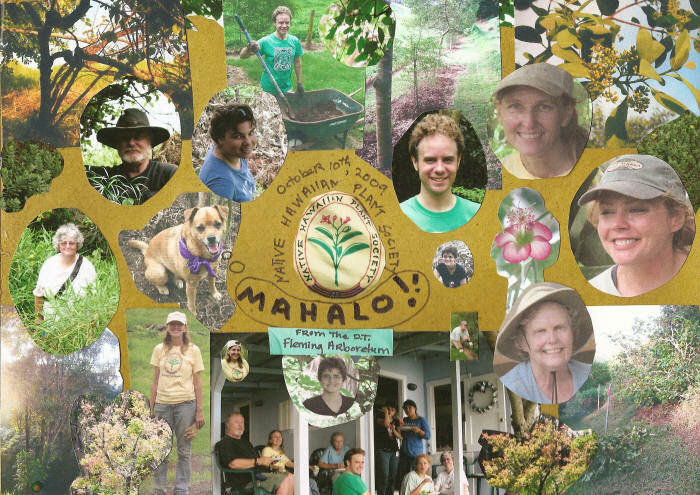 Mahoe. 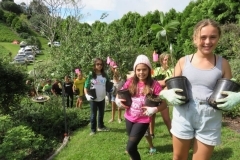 The facility makes possible a greater number of programs with increased participation. Martha hopes overnight camping for volunteers will increase youth group participation. FOFA’s mission is “preservation thru protection, propagation and distribution”. FOFA distributes seed to public and private restoration groups for out planting. 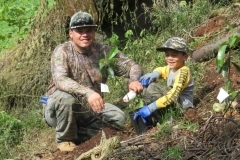 Home to one of Hawai’i’s rarest trees, the Maui Alani (Melicope knudsenii), FOFA has distributed 39 Arboretum seedlings which have been out-planted into the Auwahi Forest, the State Natural Area Reserve and in the Arboretum. 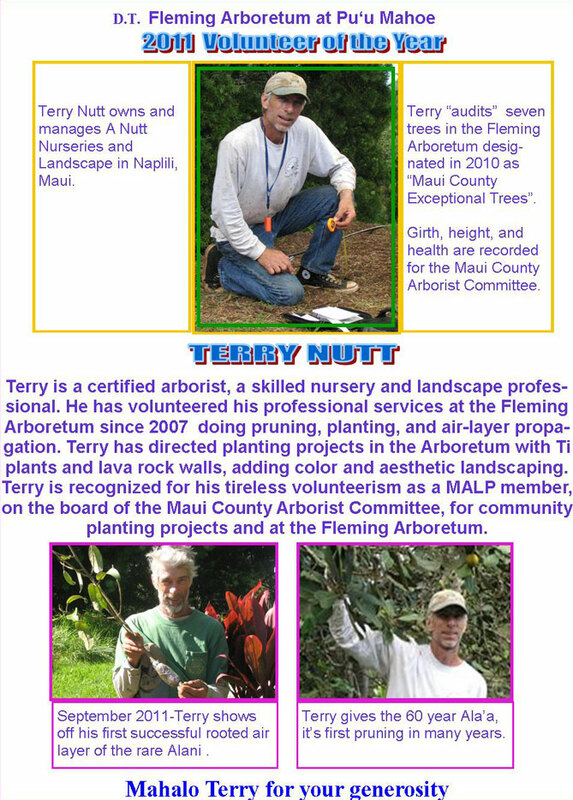 Waimea Arboretum on Oahu, Amt Greenwell on the Big Island and the NTBG on Kauai also have seedlings. 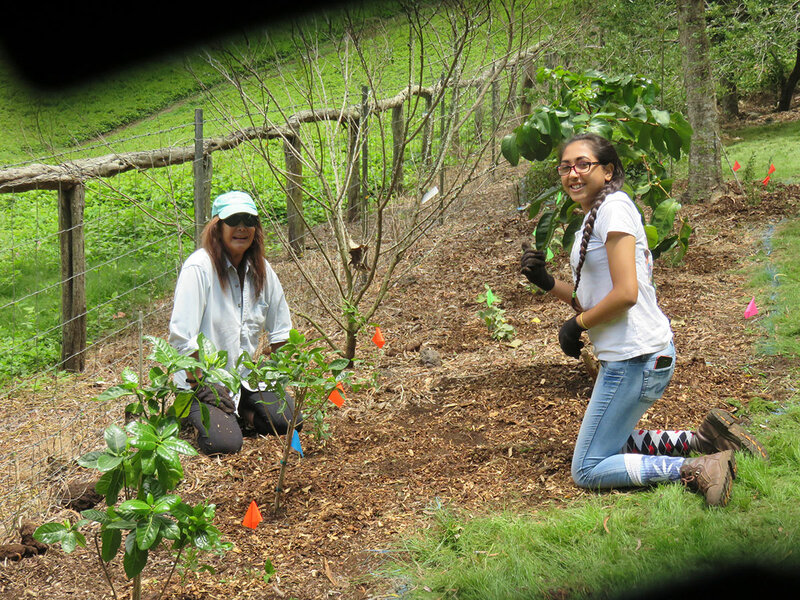 NHPS supports the efforts of organizations such as FOFA in preserving and nurturing the native habitat of Hawai’i. 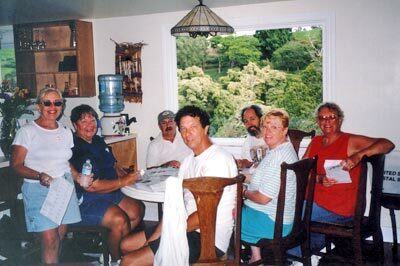 grape juice) didn’t hurt either! NHPS service trips are held the second Saturday of each month. 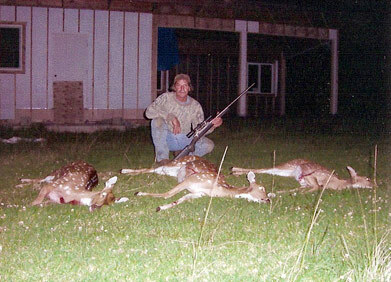 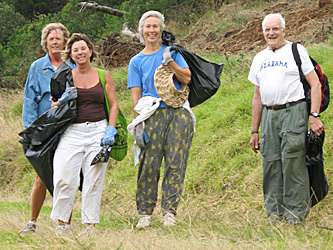 2008 Volunteers on Weed Patrol. 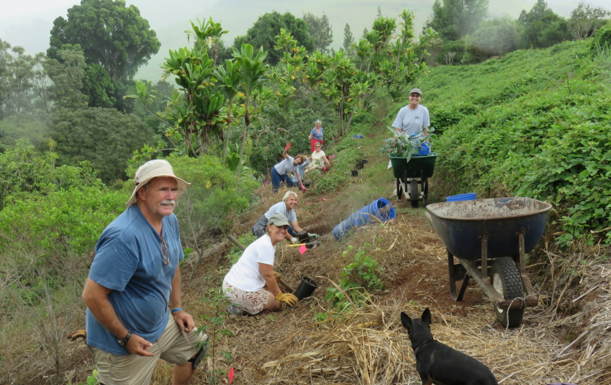 As newly cleared areas at Pu’u Mahoe become established with Kikuyu grass cover, weeds as wild olive, Christmas berry, wattle, and fireweed are less apt to germinate. 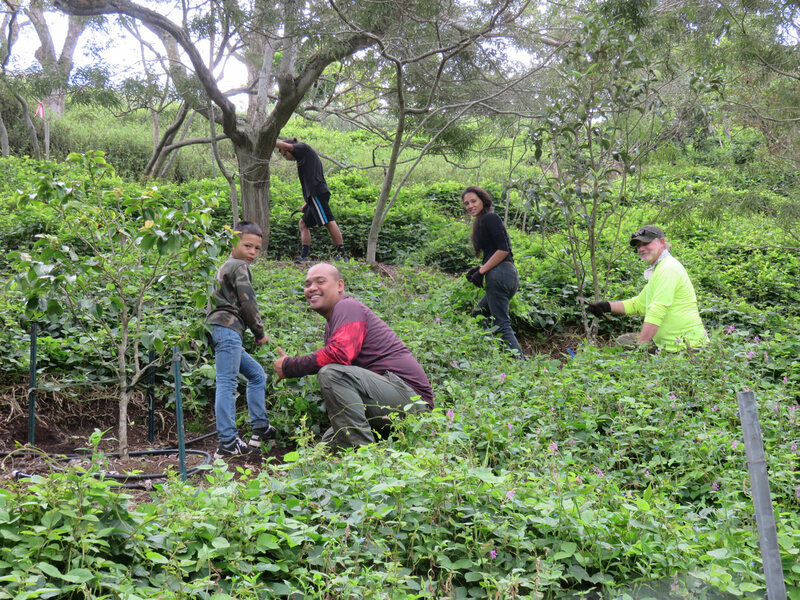 Until then, controlling invasive weeds at Pu’u Mahoe is an ongoing challenge.Broadleaf control spray and manual weeding is done by volunteer labor.A new challenge in the Arboretum is the gradual increase of morning glory and glicine vine. 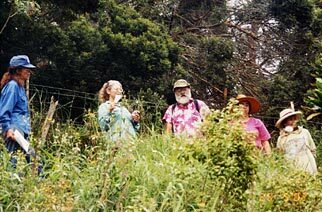 Vines grow faster than Kikuya grass, requiring herbicide spray more often 2009 will focus on eradicating vine from Arboretum. 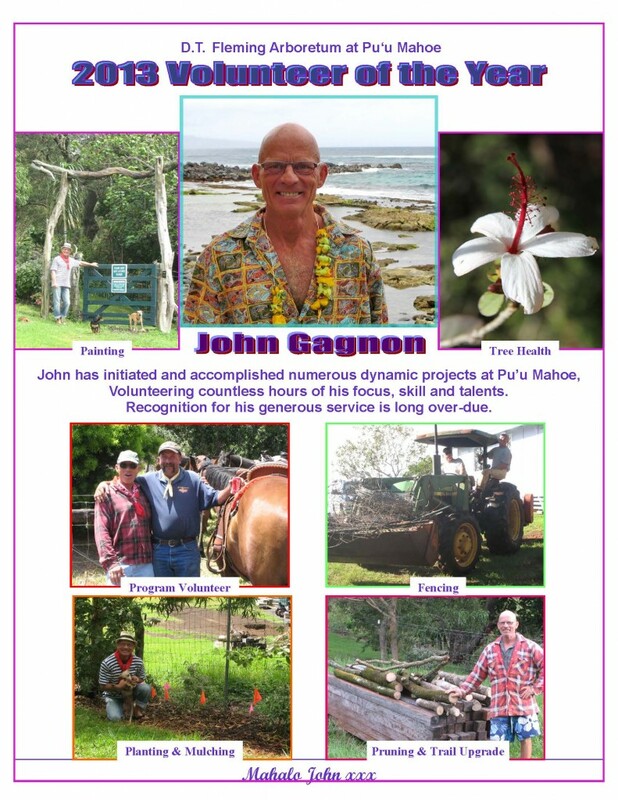 horticulturist, has generously donated his time regularly for the last five years, contributing to the health of the Fleming Arboretum. 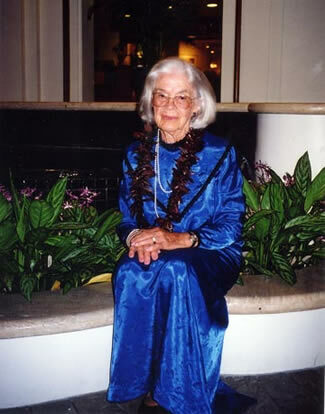 Euphence Fleming Vockrodt received Volunteer of the Year Award 2006. 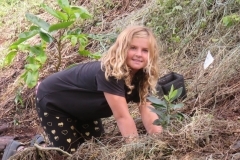 “Euphie,” daughter of D.T. 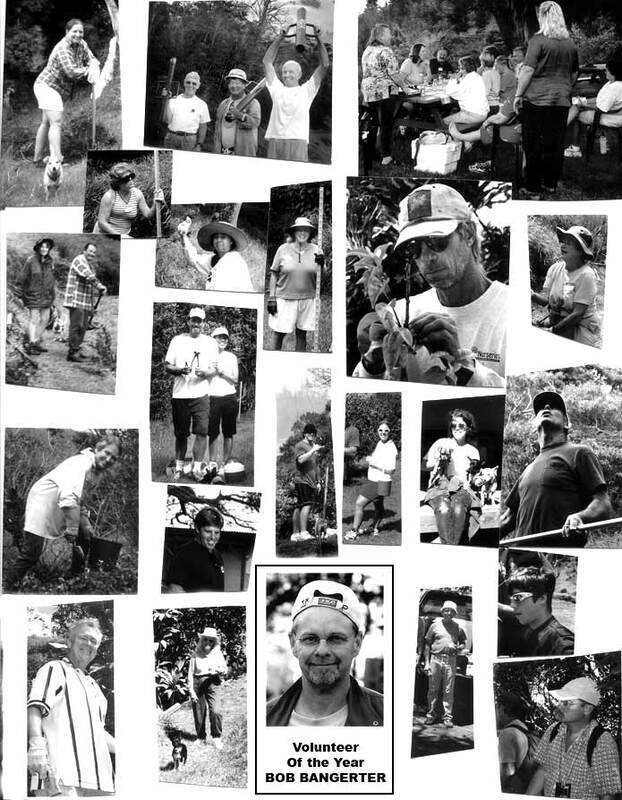 Fleming, and her late husband Jack Vockrodt, maintained the Arboretum for 45 years. 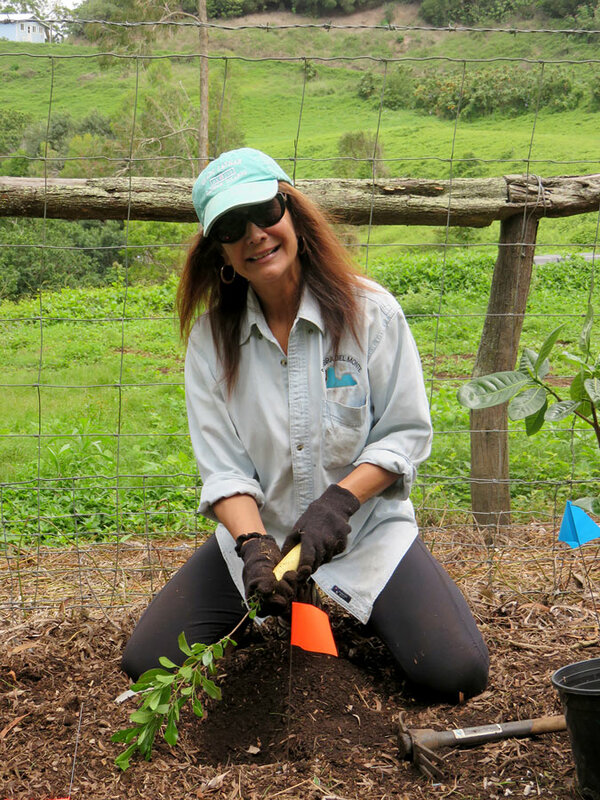 She continues to care for the Arboretum every Friday. 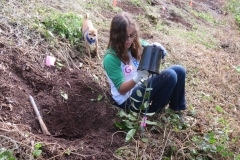 “Good enough is not good enough” for Euphie. 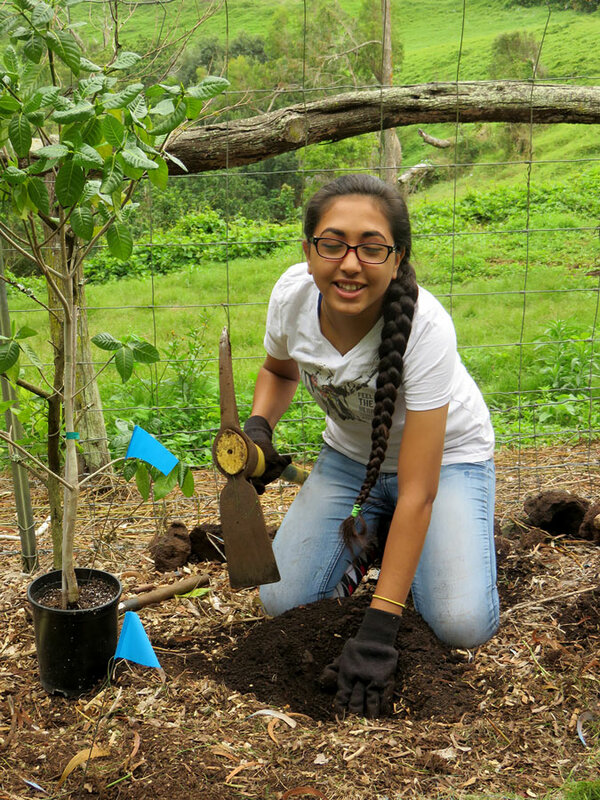 She is a perfectionist in her work. 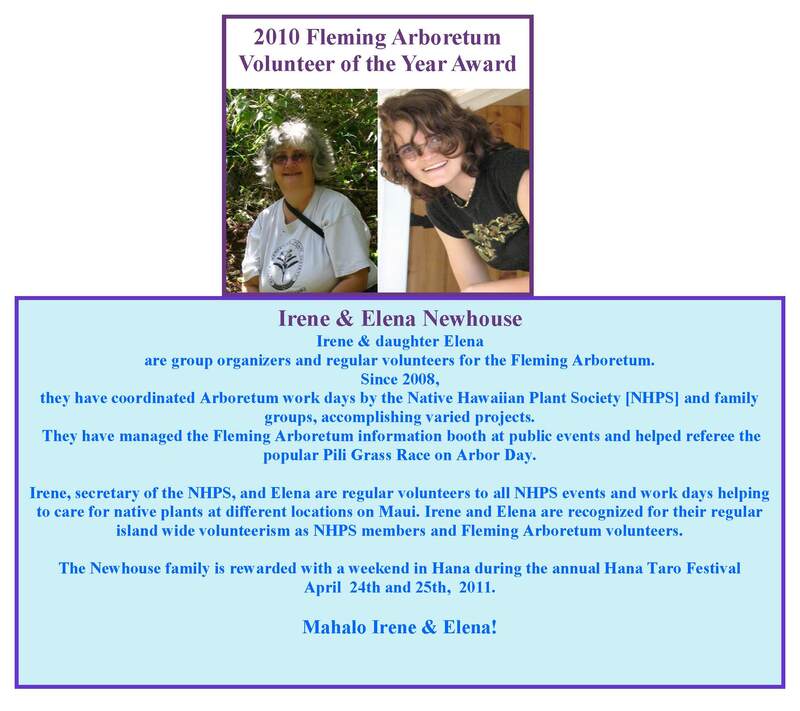 Aileen was recognized for her contributions to the Fleming Arborertum with aifare and registration to Hawaii Conservation Conference 2006 on Oahu, representing the Fleming Arboretum. 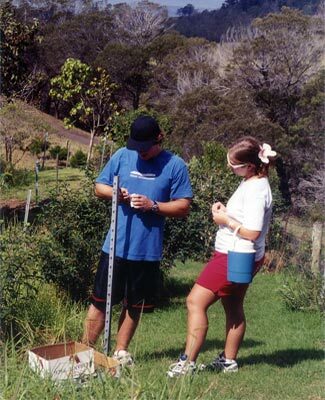 Aileene Yeh of Hilo’s State Research Center, succeeded in the highest Alani seed propagation rate of 20% (vs. the average of 5%) from 2004 seed. 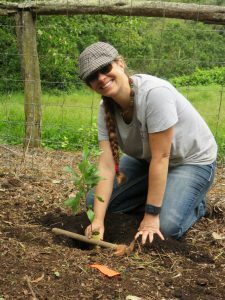 In June this year she hand-carried 15 Alani seedlings via air for outplanting on Maui so they would not freeze in baggage. 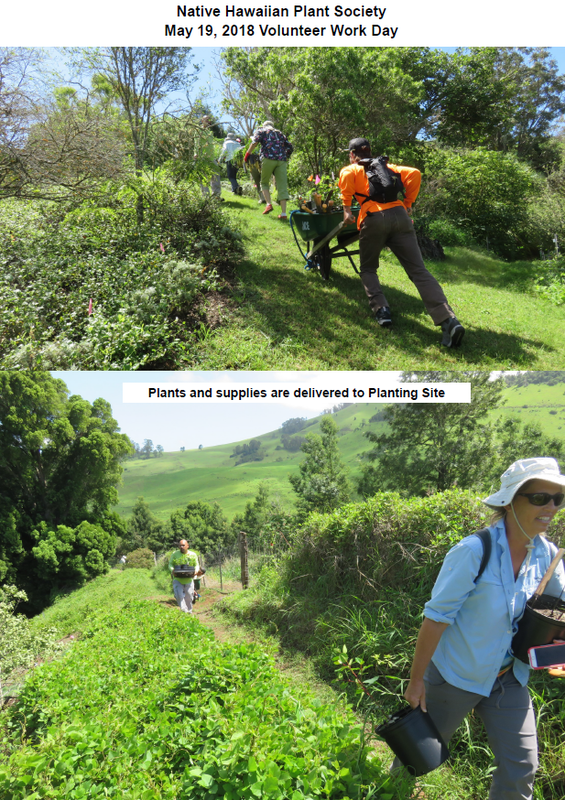 She continues to generously donate her nursery and time for propagation of the Arboretum’s rare species. 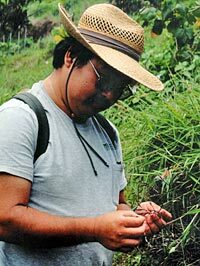 Mach Machada , entomologist for the State of Hawaii, examines bug damage. 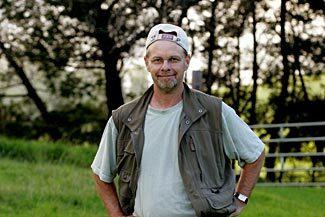 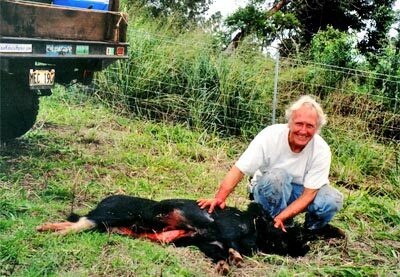 Terry Quisenberry – A fresh pig catch changes his fencing plans for the day. 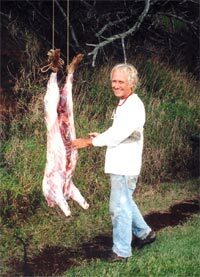 Terry caught a total of 5 wild pigs that were damaging Pu’u Mahoe. 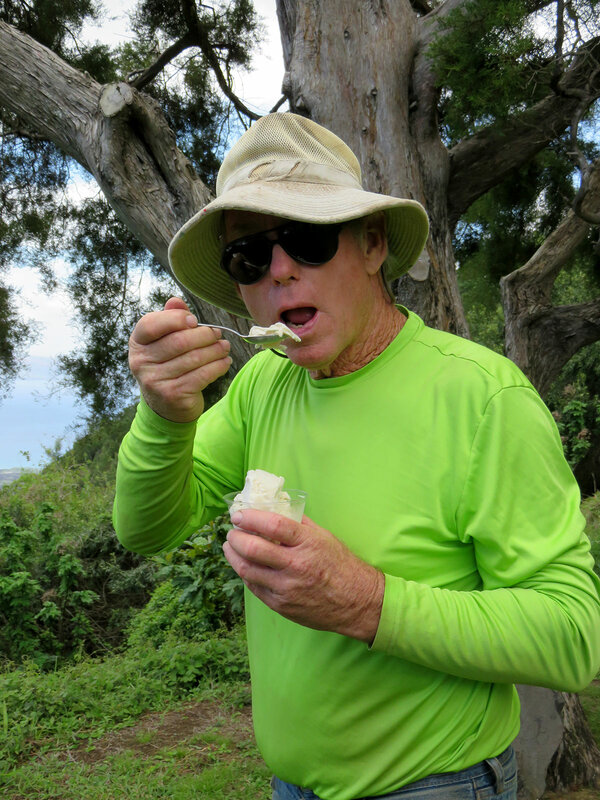 This pig was prepared for Imu (underground oven with hot rocks) at memorial servces March 17 for Dr. Steve Moser at the Kahului Harbor Canoe Club. 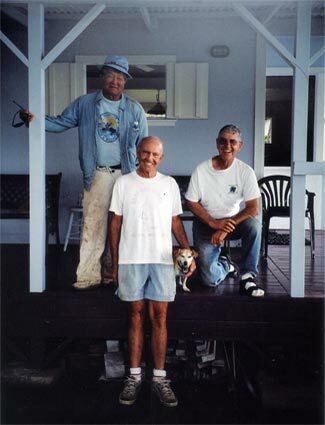 Volunteer Peacock Patrol: (L-R) Slim, Maggie and Ope. 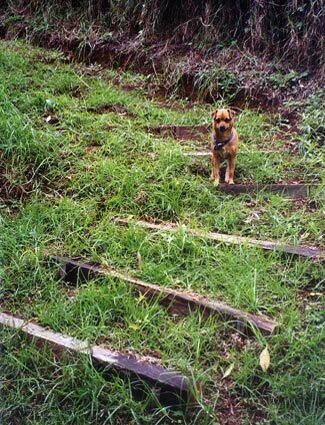 Thanks to these vigilant canines, vehicle bumpers at the Arboretum are no longer vandalized by peacocks trying to fight the reflected images of themselves. 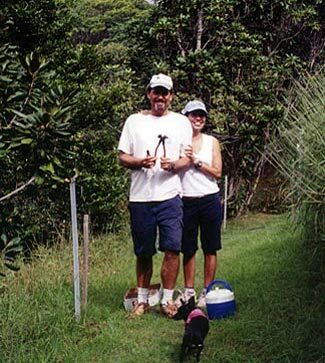 Bob Bangerter has donated many hours providing professional photography, including the Virtual Tour and the latest photo presentation of Exceptional Tree nominations for the Maui County Arborist Committee. Arboretum Manager Martha Vockrodt-Moran harvests ripe Pua Kala seed (the white Hawaiian poppy). 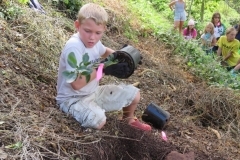 Most endemic species have lost their thorns, adapting to Hawaii’s non-threatening environment. 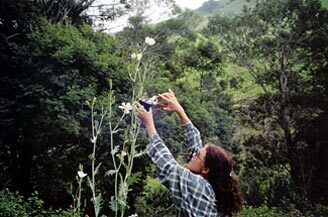 Pua Kala is one of the few natives choked with thorns, even on the flowers. 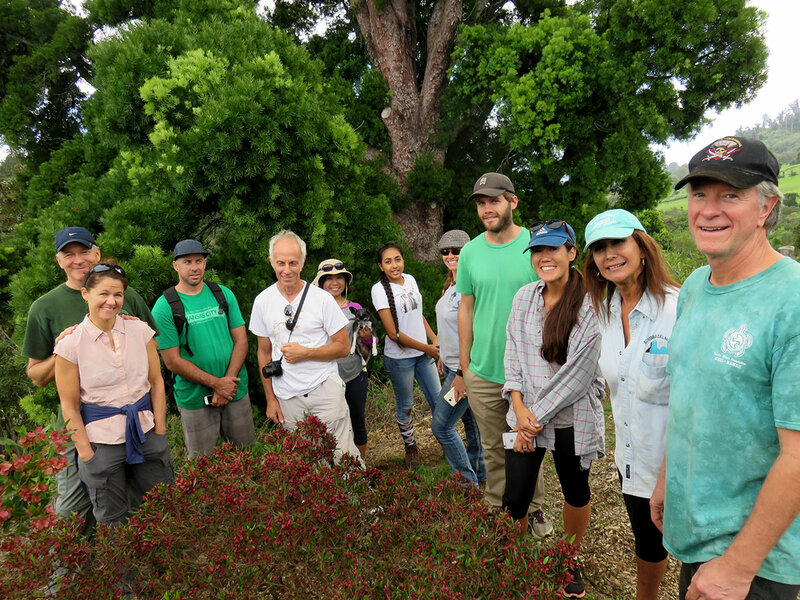 Maui Sierra Club, led by Arboretum manager Martha Moran, takes tour of projects to accomplish on their volunteer work day. 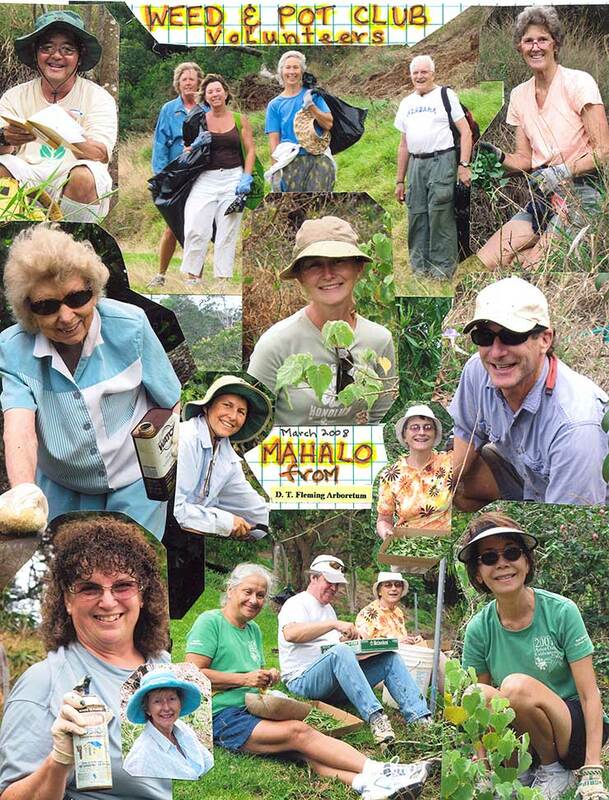 Maui Garden Club provides volunteer labor on a regular basis. 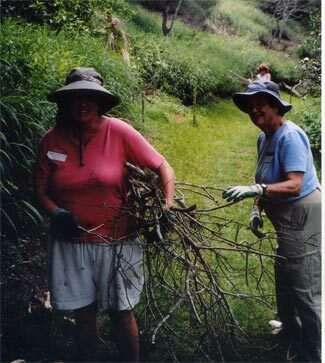 (L-R) Kathy Collins, Cathy Hobson and Marjorie Bonar in distance. 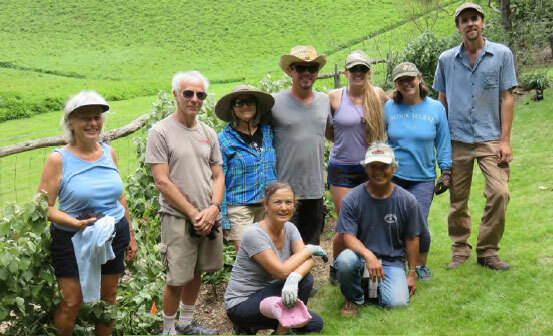 Dan Judson (with crimping tool) organized a work day with Debbie DeMello (R), son Noah and Amie Vobork (below left). 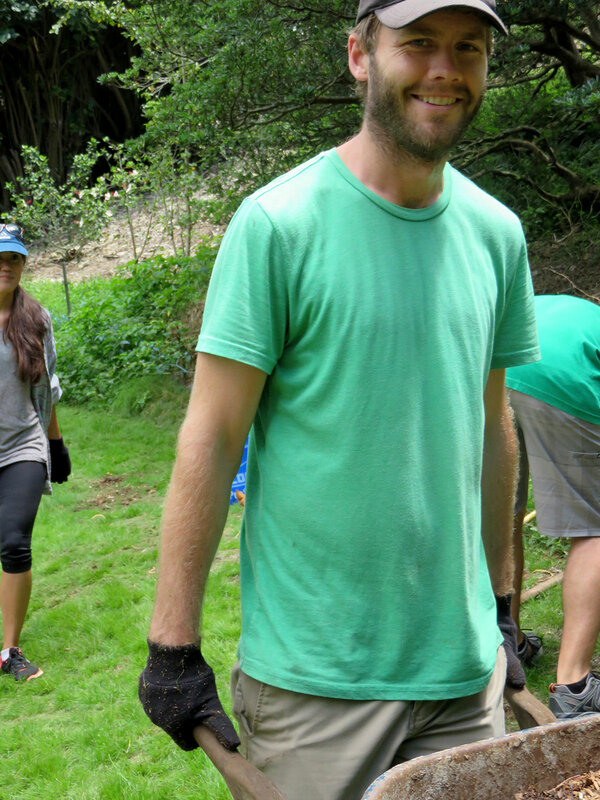 Noah Judson and Amie Vobork started work from the top trail of the Arboretum …”for the view” installing labels for the Kaulunani grant. Anna was recognized for her contributions to the Fleming Arboretum.